Sydney, Australia, 9 October 2018 – Beem It, Australia’s first fintech venture founded collaboratively by leading Australian banks has appointed CBA executive and innovation leader, Ms Angela Clark to the role of CEO. Beem It was established in February 2018 by National Australia Bank, Westpac and Commonwealth Bank to deliver better payments experiences within a dedicated app available to all Australians, regardless of who they bank with. Following Beem It’s initial launch in May 2018, it has quickly become a prominent P2P payments platform in Australia with a fast-growing user base, from millennials to baby boomers. Beem It Chair, Ms Kim Anderson described Ms Clark as an exceptional leader with a rare combination of skills and experience across traditional banking, startups and innovation. “Angela is a seasoned executive with extensive experience in large multi-layered organisations together with smaller innovative startups. She brings a deep understanding of the customer experience and the ability to innovate in an agile and fast-moving environment. We are delighted to have her lead this initiative and look forward to building an innovative and inclusive platform that delivers value across the Australian payments landscape,” Ms Anderson said. Ms Clark’s experience as a CEO and Managing Director spans multiple sectors and customer segments, including payments and financial services, and digital and traditional media such as advertising, broadcasting and radio. She has led companies as a founding CEO and Managing Director, founded her own ventures, and led transformation of divisions and customer strategy within large organisations. In 2017, Ms Clark joined the Commonwealth Bank (CBA) to lead the Small Business segment for the Retail Bank as an Executive General Manager. Ms Clark was part of an executive team comprising members across CBA, Westpac and National Australia Bank that spearheaded the founding of the Beem It payments venture, with a vision to create an open digital wallet and payments innovation platform for all Australian consumers and businesses. Prior to joining CBA Ms Clark led the digital division of the Australian Broadcasting Corporation (ABC), where she was responsible for the ABC’s digital strategy and delivery of its digital customer experience. Angela began her career as an investment analyst before joining global outdoor advertising leader JCDecaux as Managing Director of the Australian division, and later heading up Macquarie Radio as CEO, where she led the business to IPO. Ms Clark has a reputation as a leader in innovation in the Australian market and as an entrepreneur, having founded a number of her own digital media startups. Ms Clark said she is excited to join Beem It as CEO at this early stage of its journey. 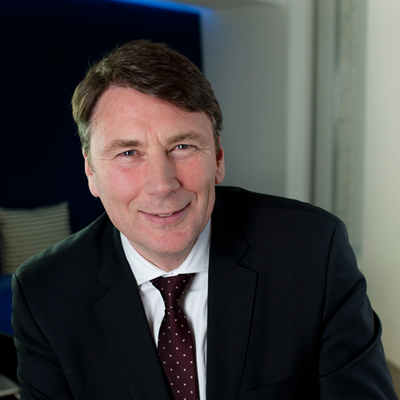 “I believe that the best innovation and technology helps us be more human, not less so. Beem It has a customer-first vision for making everyday payments moments an enjoyable and seamless experience. This lets our users focus on the experience itself, rather than the payment. “Coordinating everyone in a group to pay their fair share, getting paid for babysitting or dog walking, sorting out a birthday present or charity contribution; we have all been in situations where asking for money is a hassle and delays in getting paid can cause awkwardness and resentment in groups, families and even among great friends. Beem It helps make those moments seamless, so we can enjoy our time together more and maintain our bonds,” Ms Clark said. The Beem It app provides instant and free P2P payments, processed direct to user bank accounts. The intuitive interface links to smartphone contacts allowing customers to send, request or split payments in a few taps, with no BSB, account details or PayID required. Beem It is available to all Australians, regardless of who they bank with. Backed by three of Australia’s largest banks, users are supported by rigorous security, encryption, identity and fraud protection measures. Users appreciate the simplicity and convenience of Beem It, which is the highest-ranked financial app in both iOS and Android app stores, with more than 4.5 stars. Users can also earn up to $100 cash direct to their bank accounts, by spreading the word to their friends. Beem It also recently released a printable QR code to make it easier for small businesses to accept Beem It payments. Sydney, Australia, 28 August 2018 – Tyro, Australia’s business-only bank, today announced it had entered an agreement with the world’s largest mobile and online payment platform, Alipay, to become the first Australian bank to offer a seamless, all-in-one EFTPOS solution with Alipay for Tyro’s merchants and improve Australian businesses’ access to the Chinese visitor market. Tyro is currently working with several merchants to determine appropriate pilot sites for launch by the end of 2018. Tyro will offer Alipay to its other eligible 20,000+ businesses from second quarter 2019. The Alipay integration continues Tyro’s strategy of enabling its merchants to accept all payment types, letting their customers choose the way they want to pay. Operated by Alibaba Group’s affiliate Ant Financial, Alipay is the world’s leading mobile and online payment platform and is a must-have app in China. With over 870 million active users in China and overseas with its strategic partners, Alipay has evolved from a digital wallet to a lifestyle enabler and is the number one payment method in China. In Australia and New Zealand, Alipay now partners with over 10,000 businesses, helping them capitalise on the lucrative and rapidly expanding Chinese visitor market. Tyro will be the first Australian bank offering all-in-one EFTPOS with integrated Alipay acceptance with its merchants. In the year ending February 2018, almost 1.4 million Chinese tourists visited Australia, injecting AU$10.4 billion into the economy (in the year ending December 2017). This is predicted to rise to AU$13 billion by 2020. Alipay is also hassle-free and easy to set up for any operator and provides merchants with additional marketing capabilities. Data from Nielsen has indicated that 65% of Chinese tourists use mobile payment platforms during their overseas travels, six times more than non-Chinese tourists (11%). In addition, over 90% of Chinese tourists would consider using Alipay when travelling abroad if Alipay were more widely accepted among foreign merchants. Moreover, over 90% of Chinese tourists indicated they would increase their spending if Alipay were an accepted payment method. Tyro is further diversifying its offering and responding to merchant needs by introducing initiatives that attract more revenue to benefit their business. The Alipay integration is part of a wider scope from Tyro to offer alternative payments, as part of its existing award-winning EFTPOS and banking-specific products. As the only Australian bank completely dedicated to business banking, Tyro is at the forefront of banking and payment innovation and strongly supports its customers by designing innovative products and a better experience, so they can succeed. Australia, 24 October 2018: Australia’s largest non-profit startup community, Fishburners, has doubled down on it’s Queensland presence, growing to a 205 desk operation within the two-year old Capital hub in Brisbane’s CBD. The only thing scarier than a haunted house on Halloween, is the the sugar overload from your little trick-or-treater loading up on sweet treats. Add this to the school activities, spooky parties, door knocking, and your child is in for one ghoulishly sugar-laden holiday! According to the World Health Organisation (WHO), children between the ages of 2-18 should be consuming no more that six teaspoons of added sugar per day. On average, Australian kids are currently having consuming around 18 teaspoons a day – that’s more than three times the recommended intake, and that’s on an normal day! As a parent, you’ll know Halloween doesn’t just last a day – the hoard of sweet food and beverages are excessively consumed in the following days, weeks and even months. When popular treats such as Skittles and M&Ms each contain 30g of sugar per serve, exceeding the daily recommended sugar intake for children in one hit, the effects of Halloween can cast a dark shadow for quite some time! Your child’s capacity to receive treats is dependent on how much they can carry. Minimising space for candy will subsequently prevent them from bringing excessive amounts home, while still achieving a full bag of goodies to show friends and family. Smaller bags can seem underwhelming, especially when compared to the variety of buckets and carry bags out here. Turn this swap into something interactive and personal by creating your own trick-or-treat bags that will instantly boost your child’s imagination in the celebration of all things spooky. Trick-or-treating in a deep state of hunger is a HUGE mistake. Be sure to enjoy a fulfilling and nutritious dinner before knocking on doors for dessert. If you can try and incorporate apple cider vinegar into your little one’s dinner as it’s scientifically proven as the key ingredient in dampening those sugar cravings. Double D’s range of delicious lollies are naturally coloured and flavoured, and most importantly, they’re made with natural stevia instead of sugar, making them perfect for dropping into the cauldrons of trick-or-treaters this Halloween. If it’s sweet potions you’re after, Nexba’s range of sugar-free soft drinks and flavoured waters with nothing artificial, are the perfect replacement for all those sugary soft drink cravings. Flavoured with all-natural colours and flavours, and sweetened with stevia, not even your little magician will spot the switch! With flavours like cola, pineapple, and lemon these are always a hit. Unleash your child’s inner business mogul by bartering the sweets for pocket money. Not only will this motivate your child to trick-or-treat to their fullest, the prize at the end is far greater than a pile of chocolates. Buying back can also develop your child’s sense of responsibility and trade! If cash is not the preferred currency of trade, consider offering special events or activities instead such as a visit to the cinema or the local zoo. If you’re looking to go that extra mile and stay away from sweet treats altogether, replacing candy with fun toys like glow sticks and bubble blowers that will ensure that your children won’t fly off the (broom) handle. Not only will this reduce the sugar composition in the trick-or-treat bags, it’s also a great source of variety! 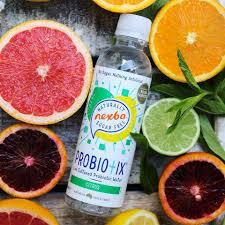 Australia’s leading Naturally Sugar Free brand, Nexba, is launching a range of probiotic waters to deliver the very best in gut health but with no hidden nasties – added sugar, artificial sweeteners, flavours, colours or preservatives – the whole shebang. The Nexba Probiotix range will be available in Mango, Citrus and Watermelon & Strawberry flavours.